Events, big and small, are an important public relations tactic that take time, focus and, many times, stress to plan. The last thing you want is to plan an event only to have a lackluster response. There are many components of a successful strategic event, but one of the keys to receiving the turnout you desire is event marketing. Here are five simple tips for marketing your event to garner the participation you desire and spark an interest in your organization. Giving your event a memorable title and/or slogan and a visual theme (colors, fonts, logos, etc.) helps potential participants associate all of the related communication with the event and your organization. A theme also helps draw interest and “sell” the event concept to the audience. People go online first when they want to know more about an organization or happening. Create a site for your event that contains all of the needed information (time, date, place, agendas, maps, parking instructions, speaker bios, etc.) about your event. Make this page easy to navigate and simple to find from your organization’s homepage. Be sure to have contact information on the event page to allow people to contact you if they have questions. Be responsive to these questions. Use your organization’s social media sites to promote the event and release worthwhile information associated with it. Consider creating a Facebook event and inviting people already associated with and interested in your organization to attend your event. Be sure to allow sharing of all of your event information. A hashtag allows you, other organizers, participants, and potential participants to discuss the event and information surrounding it. A hashtag can be used before, during and after the event, creating networking and information sharing among all of those involved. Be sure your hashtag is short and unique to your organization. You also should make sure your hashtag is included on all event promotional materials, including the website and social media accounts referenced above. Use your media relations skills to reach out to journalists who report to audiences you know would be interested in the event. Tell the journalists why the event is important to their readers/viewers. Encourage them to cover the event in advance and invite them to attend. Hosting events is a key way to focus attention on your organization. 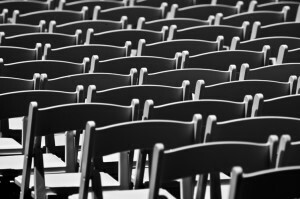 Avoid planning events that lack awareness by using these tips. What would you add? 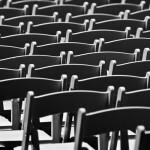 What’s your best event marketing tip?